Since the telephone was created in 1876 by Alexander Graham Bell, it has become a fixture of everyday life. We use telephones, now evolved into compact computers capable of a huge range of functions, to coordinate everything. Since the World’s Fair at Philadelphia in 1876, telephones have become ever smaller and more useful. Starting out as wall-mounted wood boxes energized by a crank, telephones quickly changed into rotary-dialed desktop appliances, and eventually became wireless. A plastic mid-century rotary phone is now highly collectable. 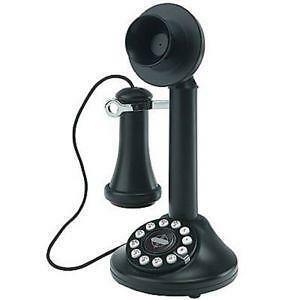 Whether for purely aesthetic use or because you just can’t bring yourself to leave the house-phone behind, antique telephones are a worthy part of any collection. The value of antique telephones seldom exceeds $300, save for unique specimens. They are often sought after by interior designers and homeowners hoping to create a vintage look.